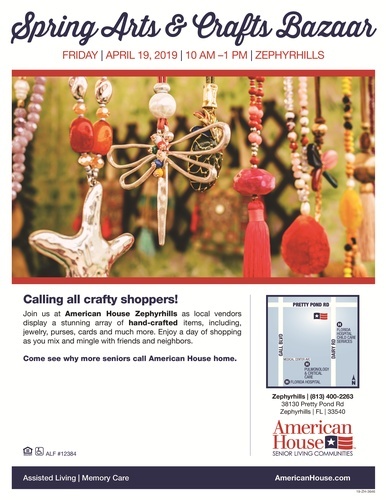 Join us at American House Zephyrhills as local vendors display a stunning array of hand-crafted items, including jewelry, purses, cards and much more. Enjoy a day of shopping as you mix and mingle with friends and neighbors. Come see why more seniors call American House home.